Although the differences between theft and robbery are subtle, a charge of theft is not as serious as one for robbery. A criminal defense attorney might help a client who is accused of robbery. toll free at 954-533-2756 . Florida addresses property crimes, including robbery, in its state statutes. Robbery differs from theft in that the use of force is involved, while a theft does not involve force and might even occur without the knowledge of the alleged victim. 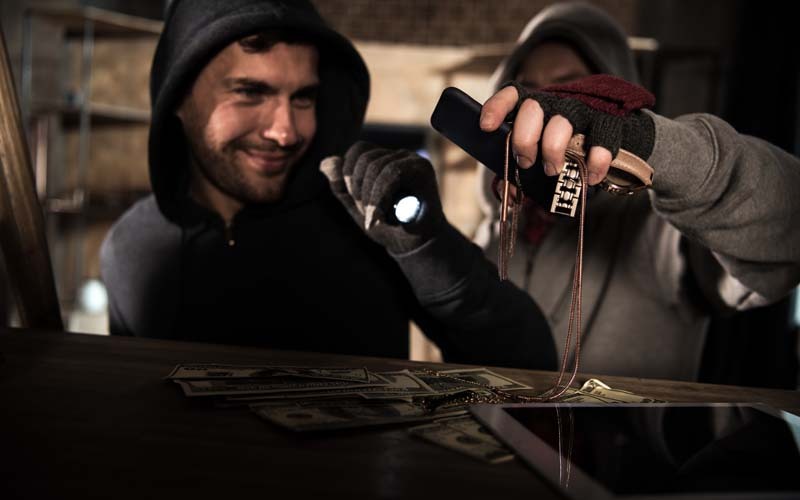 Specifically, robbery means that property is confiscated from a person through the use of intimidation, threats, assault or other violence with the intent of permanently keeping the property. Florida classifies robbery as a felony. If a person committing a robbery does not use any type of weapon, the crime is classified as a second-degree felony, punishable according to the existing statutes. If a weapon is used, the robbery is classified as a first-degree felony and penalized accordingly. If an offender uses a deadly weapon, including a firearm, then the robbery is not only labeled a first-degree felony, but the person could also receive possible life imprisonment. Other crimes sometimes happen while a person is attempting to commit a robbery or fleeing from the scene of a robbery. In addition, the law uses the term ‘in the course of the taking” to mean that another action occurred before, during or after the robbery and was part of the sequence of related events. Sanctions for these crimes might be enhanced. Although the differences between theft and robbery are subtle, a charge of theft is not as serious as one for robbery. A criminal defense attorney might help a client who is accused of robbery by mitigating the crime and proving that force was not involved. If no force was involved, the possible sentences for theft or another property offense could be less severe than sanctions imposed for robbery.